Steven (Chicagoland, United States) on 1 August 2017 in Plant & Nature and Portfolio. 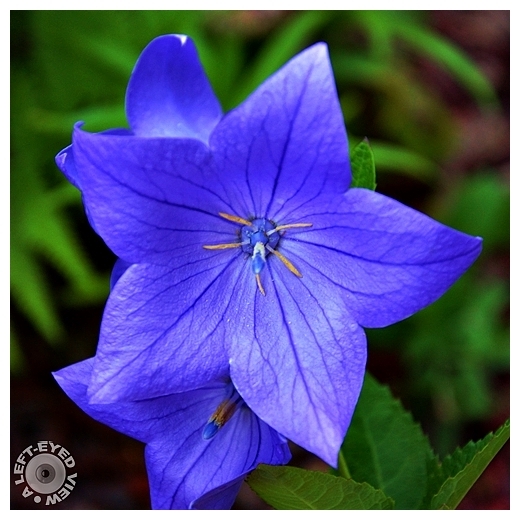 The second of two photos of a balloon flower after it opoened. The first one, which illustrates where it got its name from, can be found here. Photo captured July 18, 2017. This blue is fantastic ! Wow, that balloon really popped in a beautiful way. A lovely surprise when it opens. I enjoy the blue color and the veining. An excellent close up of this pretty flower. Nice detail and I like the color. Ah, c'est magique ! Elle est très belle ! He he... You must love blue flowers a lot! Gorgeous flower! Wonderful colour and fantastic detail too.